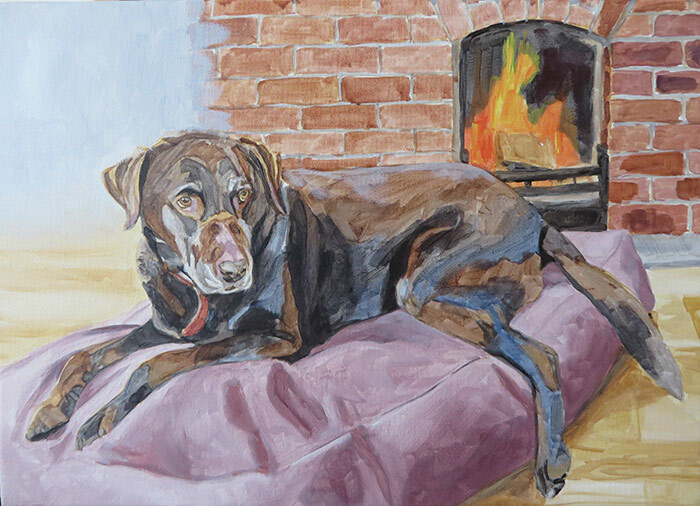 This is a painting of Otto, the beautiful chocolate labrador who sadly passed away. 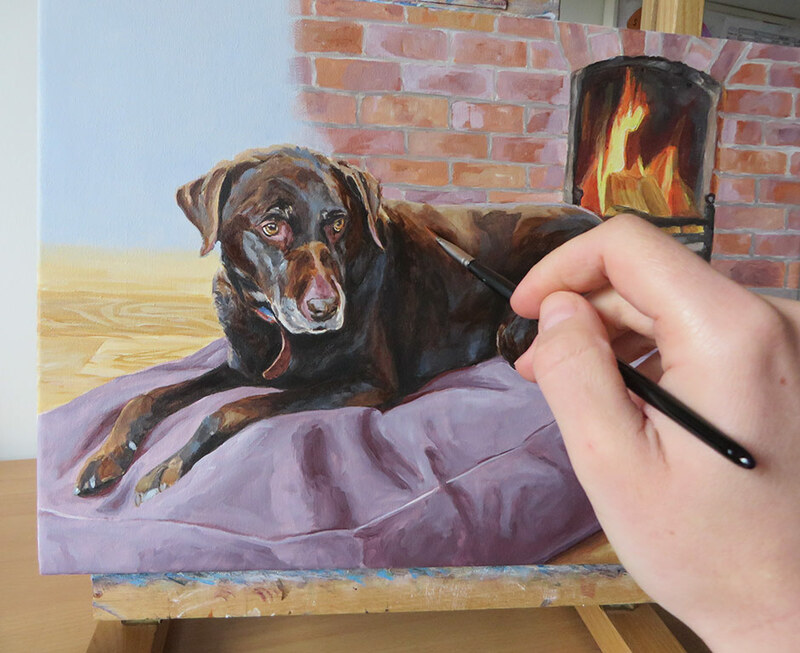 The painting was commissioned by his owner as a Christmas present for his wife. Otto was their beloved pet for many years and he wanted to have a keepsake of him. 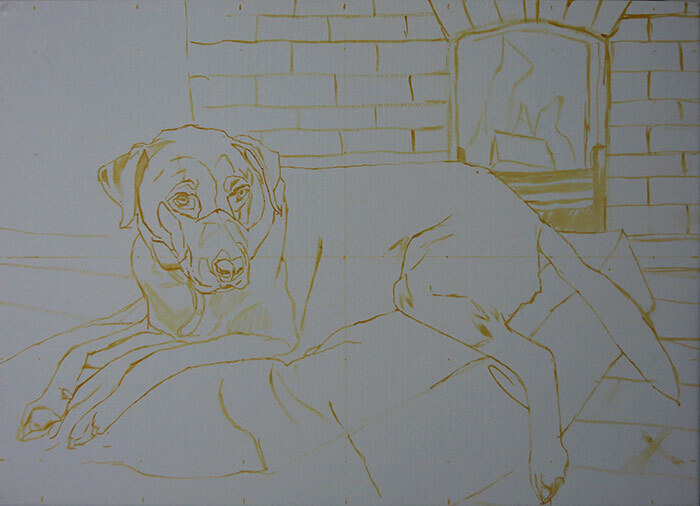 The client was keen to have Otto painted on his bed in front of the fireplace as he often lay there. The painting is 25 x 35 cm in size, painted with acrylics on stretched canvas. 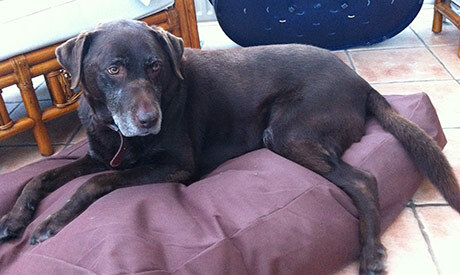 The client was very pleased with the finished portrait.